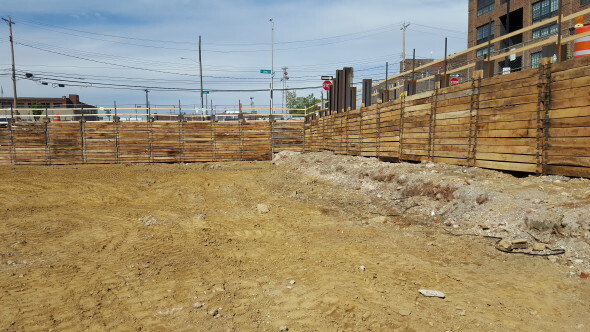 Based upon previous experience and Righter’s reputation, Urban Five Construction contracted The Righter Company’s Piling & Shoring Services division to design and construct a temporary earth retention system for a new apartment building on Long Street in Columbus, Ohio. Based upon previous experience and Righter’s reputation, Urban Five Construction contracted The Righter Company’s Piling & Shoring Services division to design and construct a temporary earth retention system for a new apartment building on Long Street in Columbus, Ohio. Righter’s experienced crew efficiently installed the system in difficult and congested conditions, and completed its work ahead of schedule for this important downtown housing project. 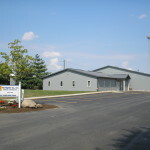 The Righter Company, Inc., is a diversified general contractor that has completed hundreds of projects throughout the State of Ohio, and surrounding states. The company is prequalified by the Ohio Department of Transportation for bridges of all types (ODOT level 3), culverts, earth retention, water and wastewater treatment plants, earthwork, grading, deep sewer and/or excavation, general building construction and demolition. The company has constructed bridges, roadways, water/waste water treatment plants, storm/sanitary sewers, waterlines, piling, earth retention, new buildings, and renovations of existing buildings. Our clients include Federal, State, County and local governments, along with many private industry owners. Copyright 2015 © The Righter Company, Inc.